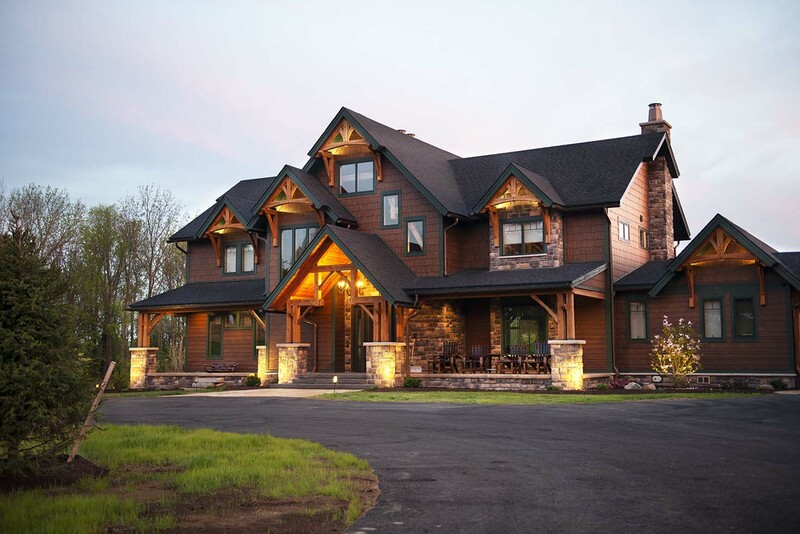 Creating a premium automation system for this stunning, luxury post-and-beam home on 60 acres in Upstate New York was a tall order, but master URC systems integrator Ryan Hills and the team at Digital Home Creations were up for the challenge. Making the technology virtually disappear was no small feat. 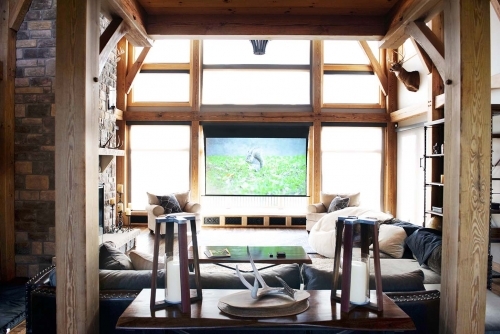 Fully-integrated distributed audio and smart lighting are built into the woodworking. Custom rock speakers disappear within rock walls. Projection screens drop from the ceiling and TVs lift magically from granite countertops with astonishing one-touch control. To make this happen, Hills and the Digital Home Creations team integrated the URC Total Control system with best-in-class products from Lutron, Sony, James Loudspeaker, Yamaha, Honeywell, LiftMaster, Just-Add-Power, Ubiquiti and more. 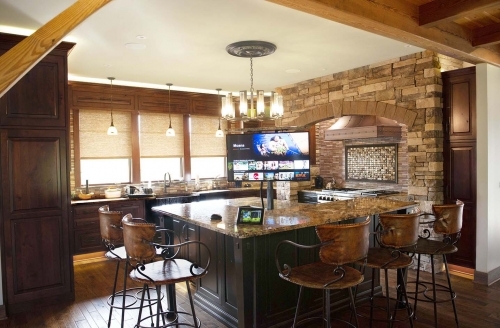 In the kitchen, a Nexus 21 motorized lift with 360 degree rotation raises the TV above the granite island for convenient family viewing. 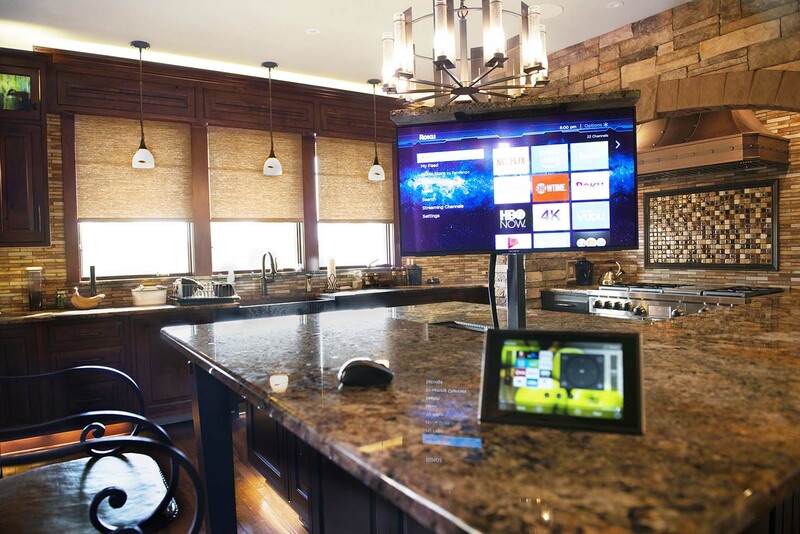 A URC TDC-7100 7” tabletop touchscreen controller and TKP-7600 7” in-wall touchscreen feature personalized onscreen menus, icons and backgrounds for intuitive control of the integrated technology throughout the home. The bar and adjacent family room boast an amazing URC Total Control distributed audio system with Yamaha AVR and James Loudspeaker 7.1 surround sound. 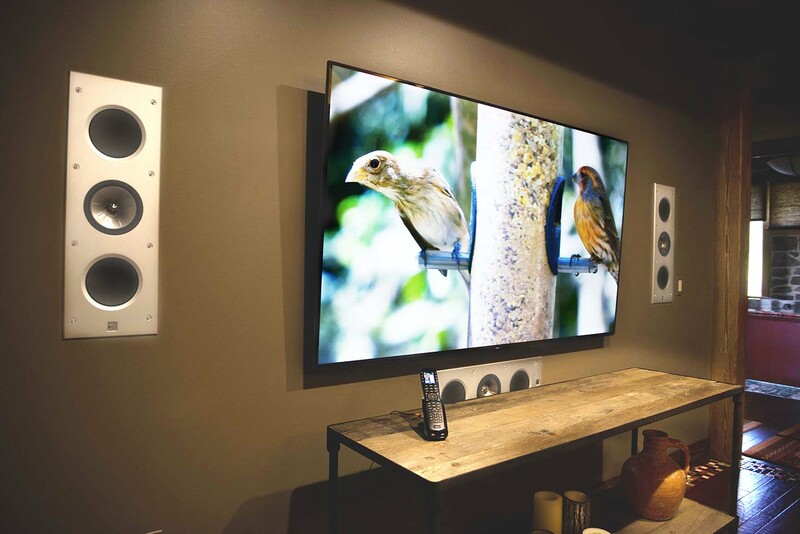 A Just-Add-Power video matrix enables seamless source selection for eleven 4K TVs around the home for movies, sports, video games and cable programming. The premium URC touchscreens and remote controls display personalized Favorite Channels menu for intuitive, one-touch control. Since the husband is a professional musician, equipping the jam room was an important part of the job. Custom programming enables the band to play music directly through the URC Total Control and stream it to any or all of the 20 zones in the system. 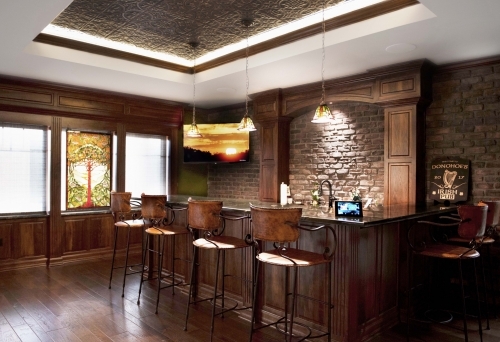 The AV and smart home integration does not stop there. 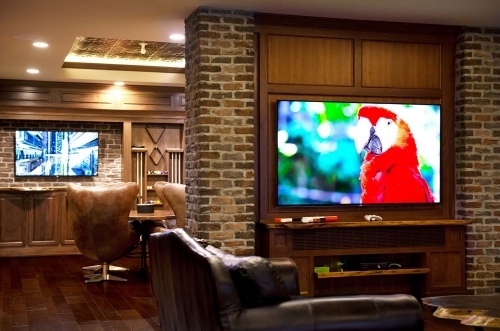 The entire home is equipped with Lutron HomeWorks lighting control, smart thermostats and 75 Sivoia QS wireless shades. In total, the residence features 20 zones of URC DMS audio, 13 zones of HVAC control, over 200 lighting loads, 29 surveillance cameras, WattBox IP power, IFTTT integration, Z-wave devices, a Honeywell security system and Chamberlain MyQ garage door openers. 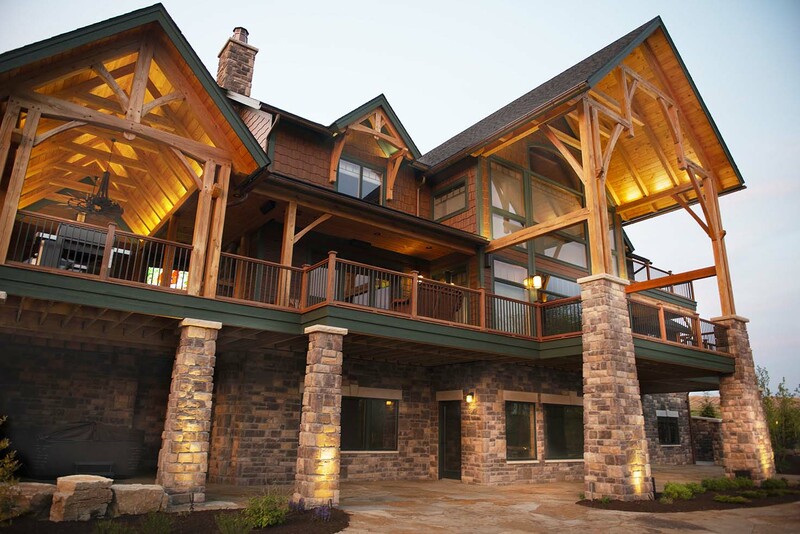 Digital Home Creations received a 2018 URC Unsurpassed Award for Best Residential Installation for this outstanding job.